Beginning with the introduction and adoption of the Model T as the most reliable means of family transportation, Americans have held a storied love affair with generational automotive innovations. Sedans, vans, station wagons, minivans, and Sport Utility Vehicles (SUVs) have all held the title of the top family hauler at one time or another. Today's crop of CUVs take everything we loved about these vehicles while leaving behind everything we didn't - creating the most versatile and best selling new segment to ever hit the streets. But how did this come to be? And why are Crossover (CUVs) so great? Is It A Station Wagon, A Van Or A SUV? Though, on paper, the station wagon would seem to be a solid winner for families seeking to combine utility, comfort, convenience and people hauling, the stigma associated with station wagons have nearly rendered them extinct in the American market. For a lot of people, station wagons conjure up images of a far less than cool Chevy Chase character hauling his embarrassed family across the country for another Griswold vacation. While popular in Europe, even 30 years after American's deemed wagons uncool by our standards, we still loathe them. After Station Wagons were off of the radar, minivans were the next craze to hit American driveways in the 80's, 90's and 00's. Minivans offered an elevated ride height, decent driving dynamics (as many were based on large sedan platforms) and copious amounts of cargo capacity for kids and sports equipment. We can thank the minivan craze for the creation of the term 'Soccer Mom' as vans were the vehicle of choice for easily hauling all of the necessary equipment for a long weekend soccer tournament. Minivans often lined the streets and parking lots surrounding the fields. Despite the obvious benefits to owning a minivan, in a similar way to the stigma toward Station Wagons, many parents began to reject the persona that came with owning one. Many families migrated from Station Wagons and Minivans to SUVs. The rugged looks, seating capacity, and 'do it all' nature of SUVs has definite and undeniable benefits. Unfortunately, due to body-on-frame construction, heavy curb weights and gas guzzling engines required to move them, many families found that SUVs were more suitable for off-road hunting adventures than trips to the local supermarket. SUV owners also know all too well that rising gas prices can make driving one very hard on your wallet. Fortunately, automakers were already onto a new trend. This novel evolution would eliminate everything Americans hated about the Station Wagon, Minivan and SUV without sacrificing what we loved. The Crossover was born out of necessity in form, function, and of course, the ability to keep Americans happy. The technical difference between crossovers and SUVs is, a crossover is based on a car's platform, while an SUV uses the chassis of a truck. CUVs essentially eliminated the poor handling, fuel thirsty nature of SUVs while retaining the cargo/people carrying capacity and rugged looks that Americans have come to love and respect. Combined with excellent ride quality, economical powertrains (including hybrid and all-electric options) and affordable entry-level pricing, automakers have created a winning segment sure to last for generations to come. In recent years, as sales of CUVs have boomed, manufacturers have expanded the CUV classes in a similar fashion to sedan lineups. In the past, most manufacturers offered only one or two SUVs. 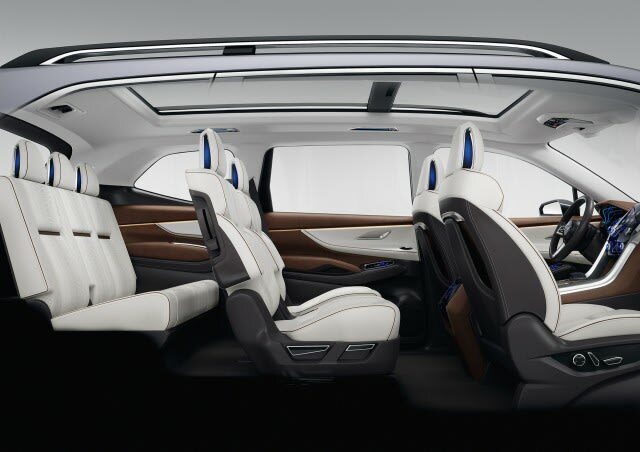 Today, however, it is not uncommon to find subcompact, compact, small, mid-size and full-size CUVs with seating capacities ranging from 4 to 8 passengers! Within each of these classes, you will also be likely to find multiple trim levels to suit specific needs and budgets. The competition in these CUV segments is fierce forcing many manufacturers to go 'all in' on new and existing offerings. The steep competition has truly resulted in a field of remarkable vehicles that sensibly blend modern comforts and convenience with top notch style and technology.